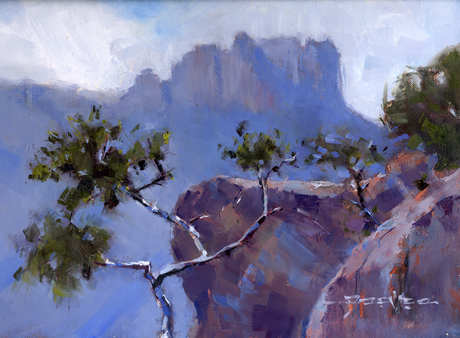 I am artistically drawn to gnarly little shrubs or trees on the edge cliffs. I like how they seem to defy the odds by surviving in less than ideal conditions. Lost Mine Trail is a beautiful hike in Big Bend NP. I painted this in studio from some old photos from the early 90s.